The National soccer team Harambee Stars will camp in France ahead of the 23019 Africa Cup of Nations set to be held in Cairo Egypt. Harambee Stars players are today smiling all the way to the bank, literally. 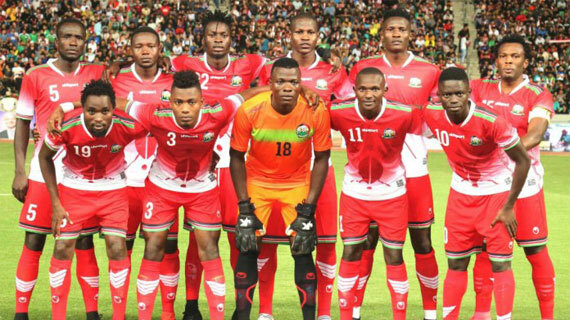 The Football Kenya Federation on Wednesday finally received the Sh219mn budgetary allocation from the government and the first task was deducting the Sh38mn owed to the players for qualifying to the Cup of nations, as promised by deputy president William Ruto. According to the Federation, the players were to receive 75pc of the money while the remaining 25 will be retained by the federation to aid in preparations for the final tournament. “We want to sincerely thank the government not only for the release of these funds but also for the unwavering support we continue to receive around our national teams,” said FKF president Nick Mwendwa. The federation will now start planning for the proposed training camp in France where the team will camp for three weeks before heading to Cairo, Egypt for the tournament. The draw will be conducted in Cairo on Friday after which Stars will know their opponents and the venue for their matches.